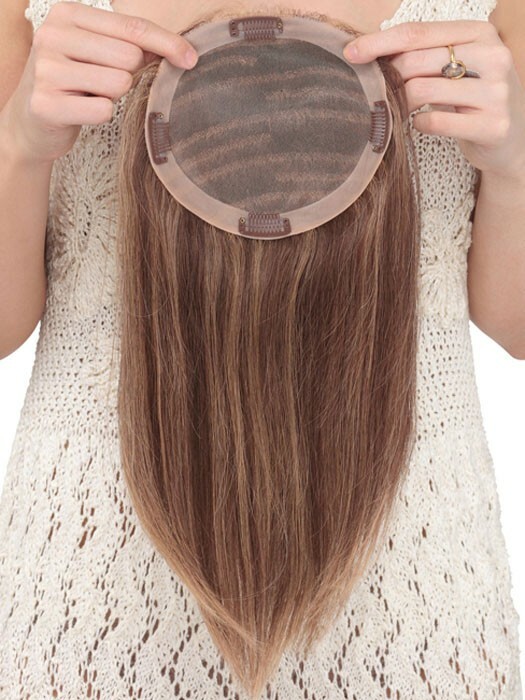 Base Size: 7" x 6", Ear 9"
Monofilament base top of head piece adds coverage and volume to your own hair. 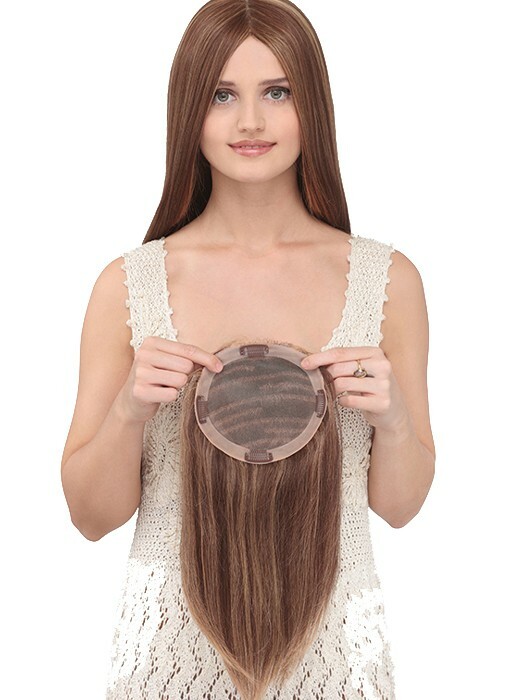 Made in pure 100% human hair fiber for the ultimate luxury. 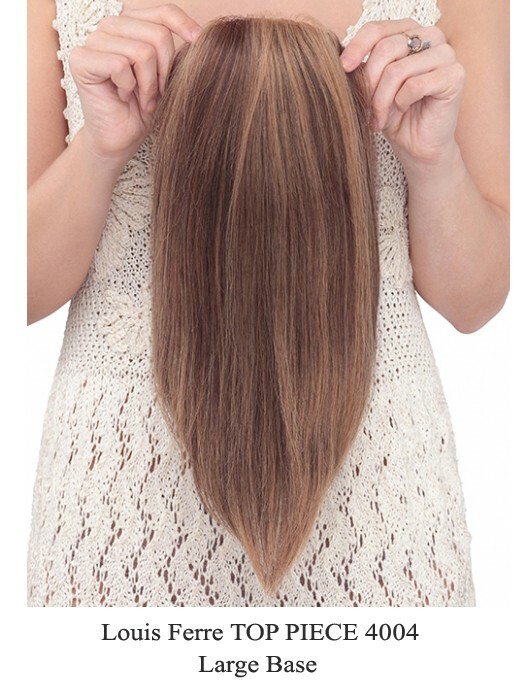 This larger base size hairpiece features a hand-tied smooth mono top base that contours with the shape of your head. It allows for the look of a realistic scalp and simulated natural hair growth for multi-directional styling and hair parting options. Very pleased with this purchase. I was soo excited to receive this wig, so i could match my son's Incredibles Theme. It was packaged great, and did come with a great hair net. I love how full the wig is, and that you can't see the net or cap underneath it. This wig is absolutely wonderful! It's worth every penny. Nicely made thickly made. Extremely fast delivery!!! The hair seemed to be good quality and thus, I ordered a second time. I like the quality of the hair.It looks natural. I was totally impressed by the natural looking of the monofilament base. I Love how realistic the monofilament base looks.And the 7" * 6" Base Size is exactly the right size for me, which covers the hair loss area perfectly!! !